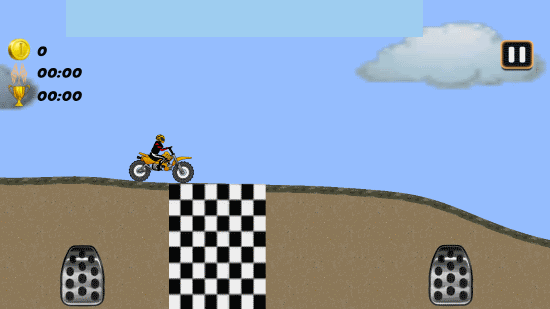 Bike Super Stunts is a free Racing Game For Windows 8 and 8.1 computers. Released by Topi Tapi Games, this is an addictive racing adventure game, full of stunts. Real physics response, decent graphics, nice sound effects, cool bikes, and amazing stunt setup are the attraction of this racing game for Windows 8. If you like bikes, racing, and motorsports, this game is definitely for you. Gear up, put on your stunt accessories, fire your engine, and get ready to go on an adventurous stunt event. 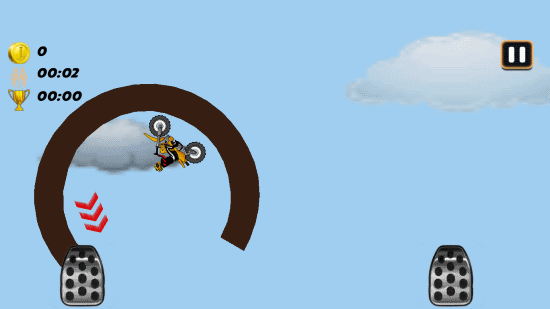 Jump over the obstacles, perform wheelies and flips, and rule the show. Find this racing game for Windows 8 on Windows App Store. Simply type the game’s name in the search bar, and you will be able to view the game’s page. You can also click the download link at the end of this article. Click on the Install button to automatically download and install this racing game for Windows 8 on your computer. 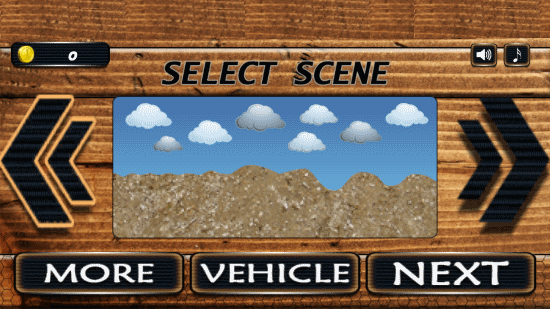 To begin playing this racing game for Windows 8, You will have to select your vehicle, level, and scene. The gameplay is really simple. Use the navigation keys, or WASD keys. You can only accelerate your vehicle and apply brakes. 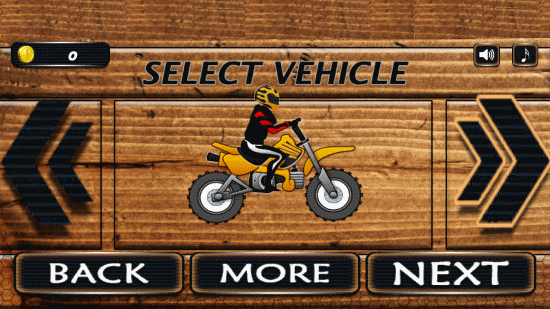 Toggle back and forth to select a vehicle. Only one bike is unlocked at the beginning of the game. Earn points to unlock all the bikes. The first level is unlocked for you at the beginning. Complete a level to unlock the next one. Press start to begin playing this racing game for Windows 8. Press the forward key to move your bike. 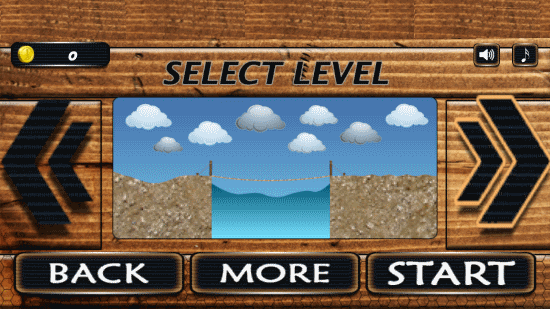 The levels are made up of complex terrain. You will find hills and gorges. While you play this game, you will find boosters. The red arrows are the boosters. Get the boosters to increase your speed. These boosters work as nitrous. When you jump off a hill, you can do flips. You will also find gold coins. Collect these coins to score more. Various stunt setups have been placed across the levels. 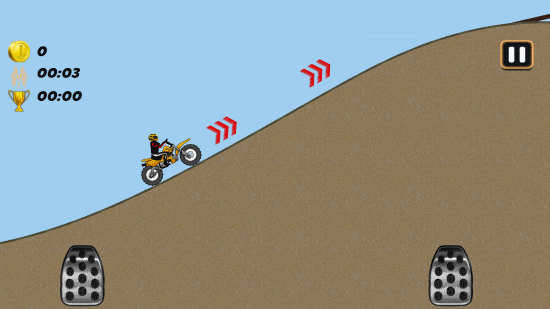 Perform these unbelievable stunts to make high scores. While you play this racing game for Windows 8, the time is also being recorded. You can play with friends, and break their time records in this super addictive stunt game for Windows 8. This is a really addictive racing game which you must install on your computer. The real physics response keeps you glued to the screen. Install Bike Super Stunts on your Windows 8 and 8.1 computers today.